They just need to bite the bullet and allow the Red Card to be added. To do otherwise is just delaying the inevitable, and stupid to boot. ApplePay plus 5% is the smart thing to do. the amount of bloatware and trash tech in the payment industry in the US is hilarious. 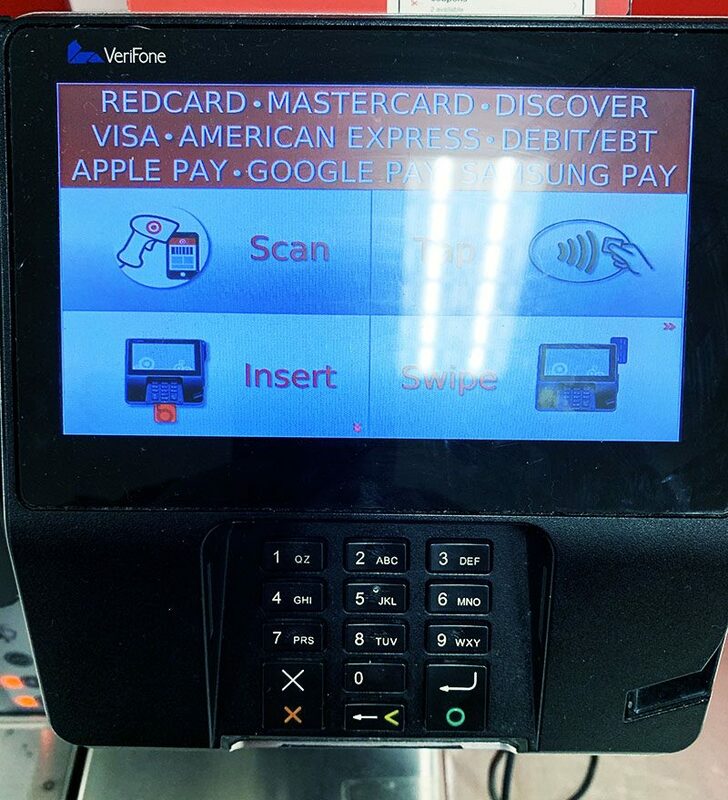 VeriFone makes the clunkiest, silliest machines. In Canada we have these tiny things that you just tap and they are in every store, it has nothing to do with the store deciding when to roll out, the payment module accepts tap (apple pay is just NFC tech for those american's that think it is somehow special). That's another couple of Internet myths. Merchants don't pay ANYTHING for Apple Pay. Apple charges the banks/credit card companies generally .015% or 15 cents on a hundred dollar transaction, which is more than made up by almost zero fraud. Bigger misunderstanding is that roll out is not privacy related. When you use Apple Pay an encrypted, one time use, token is sent from your phone directly to your bank instructing them to pay the merchant the amount on the reader. The merchant never gets any of your information from that transaction. That's why when a merchant's system gets compromised, you information doesn't go with the hack. I already used it at Target Saturday. Every time I go to USA and I realize I need to give my credit card to the waiter in restaurants and I have to write down my tip...with a pen...on the bill. Wow. It feels like 1995. Until redcard is added, it really does not matter. Crazy can't use that with Apple Pay yet. About time. If Publix would get on board then I'd finally be able to use it almost 100% of the time. They don’t get data if you’re using Apple Pay. That’s the whole point of it. Finally! I can go back to shopping at Target. Target is my only store credit card... Spend too much their to not use it and get the 5%.